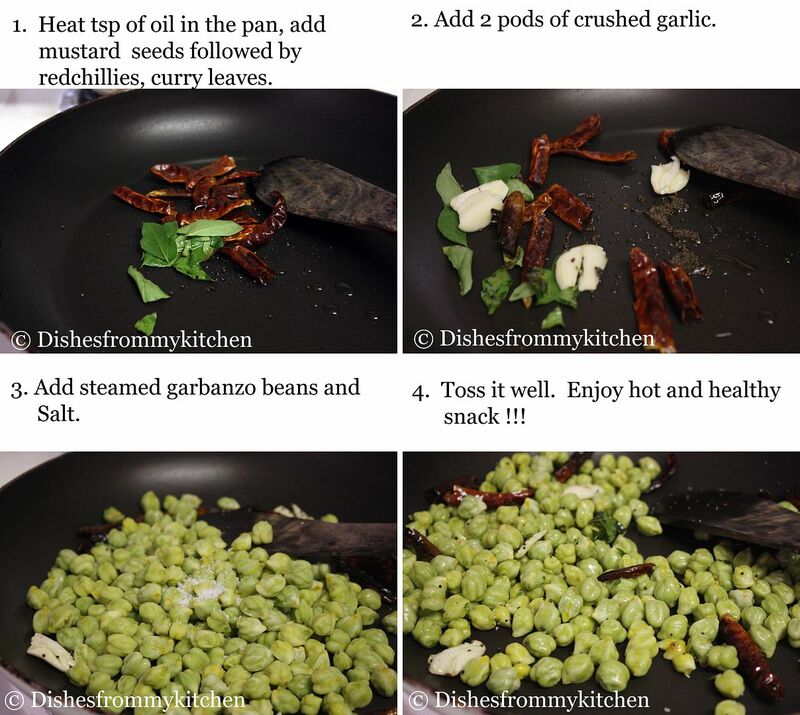 Dishesfrommykitchen: HOW TO COOK FRESH GARBANZO(CHICKPEA) BEANS AND TWO WAYS OF MUNCHING THEM !!! 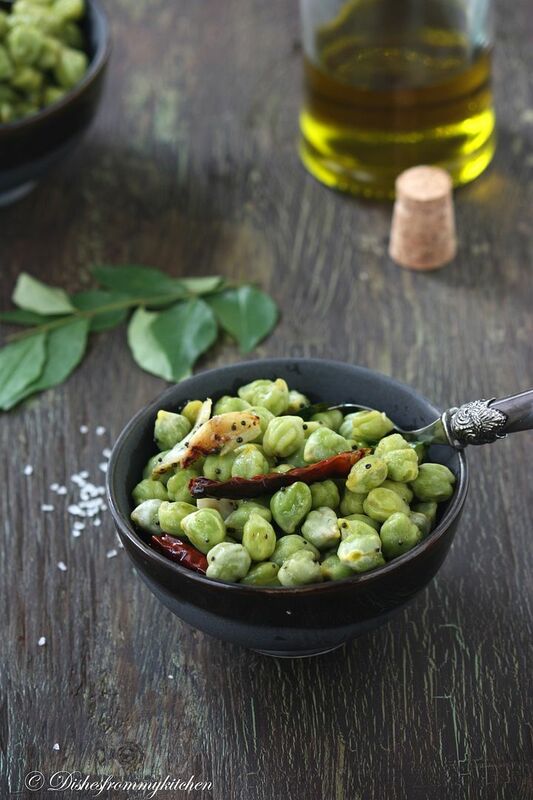 HOW TO COOK FRESH GARBANZO(CHICKPEA) BEANS AND TWO WAYS OF MUNCHING THEM !!! Wait wait.. Scroll down to see the cute little Garbanzo bean in the shell. Don' t they look cute and brings smile in your face ?? Yes it is, these fiber and protein rich Fresh Garbanzo bean is delicious to eat as well. 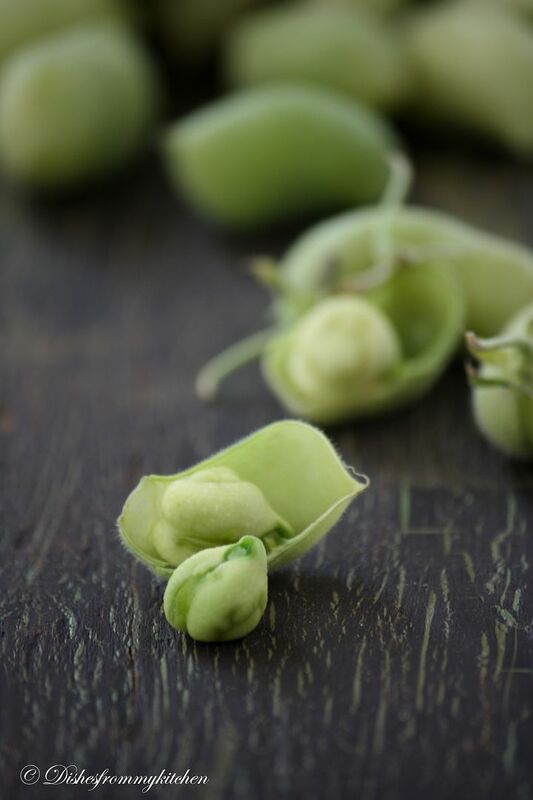 You can use the fresh garbanzo beans exactly like fresh edamame or the beans may also be removed from their shells, and cooked similarly to English peas. 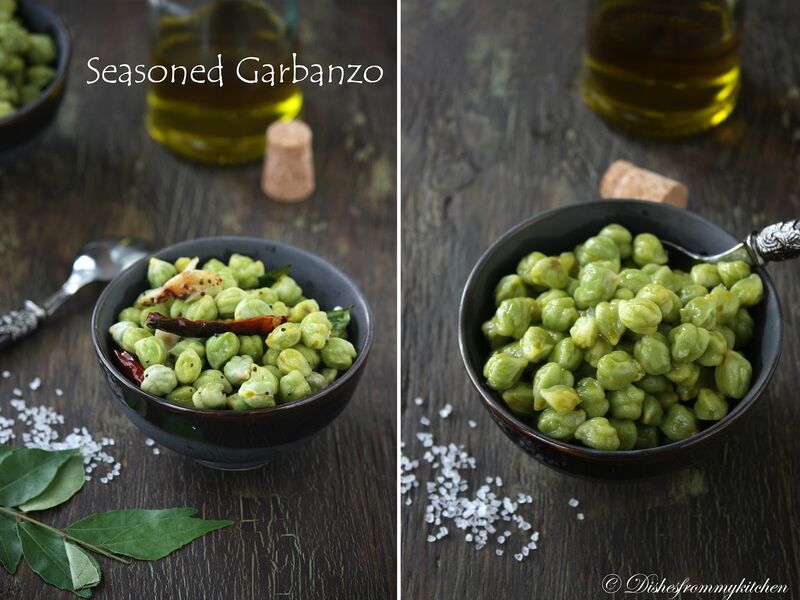 The fresh Green Garbanzo's are the most versatile one you can use for simple to complicated recipes. It can be steamed, boiled, tossed in salad, you can make curries, salads, tastiest hummus etc. 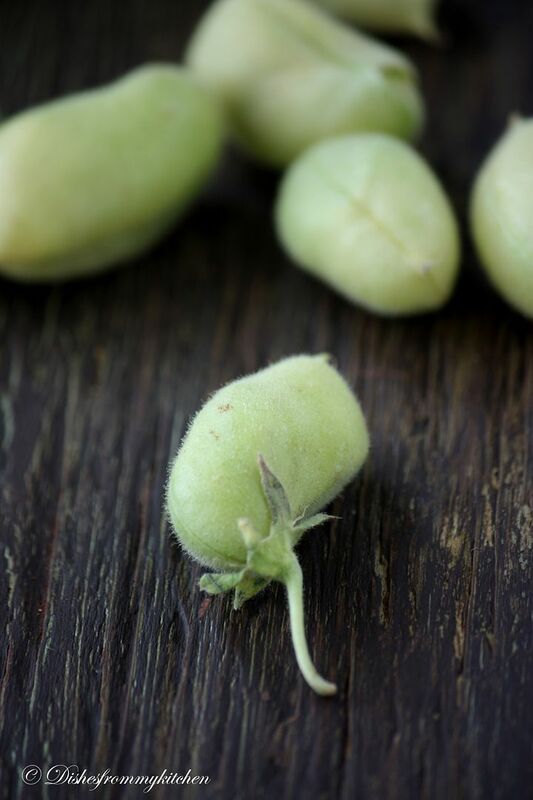 The fresh garbanzo tastes like peas when they are raw. 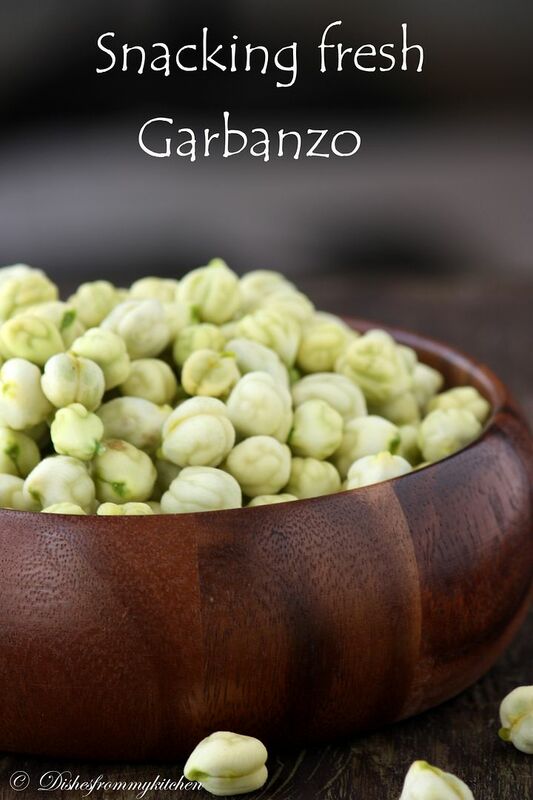 We all love this fresh Garbanzo, I never ever miss buying them whenever I see them in market. This is very tasty when it is steamed and tossed with good quality olive oil and salt or with slight seasoning. 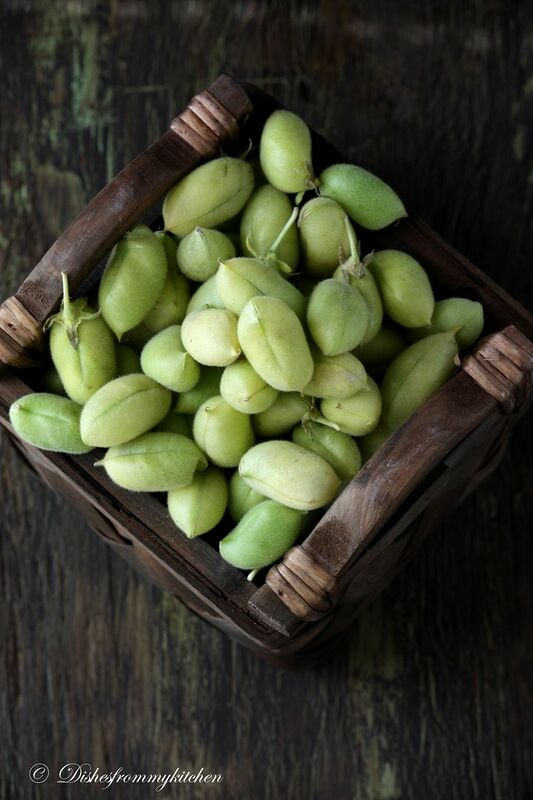 It is a wonderful and healthier snack for munching as well. You can also microwave them by sprinkling little water. 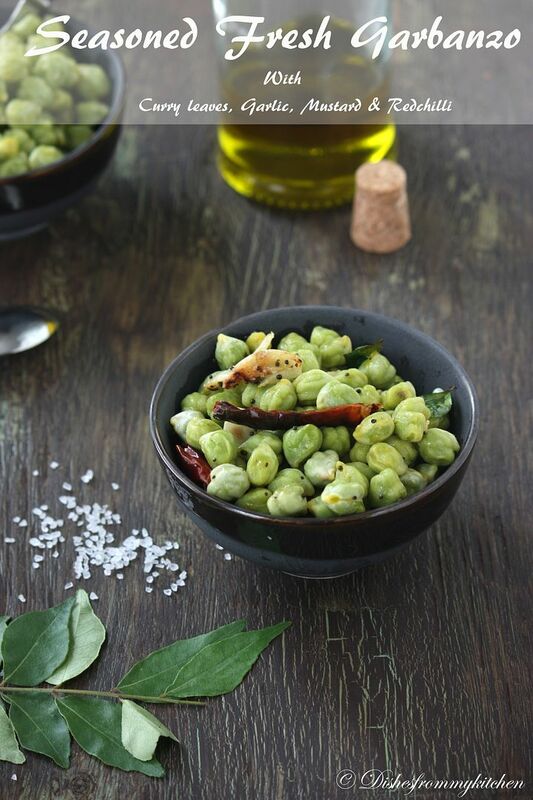 Today I am posting 2 simple ways of munching this Fresh Green garbanzo..
1. First remove the pods from the shell. 3. Now in a big vessel add 2 cups of water. 4. 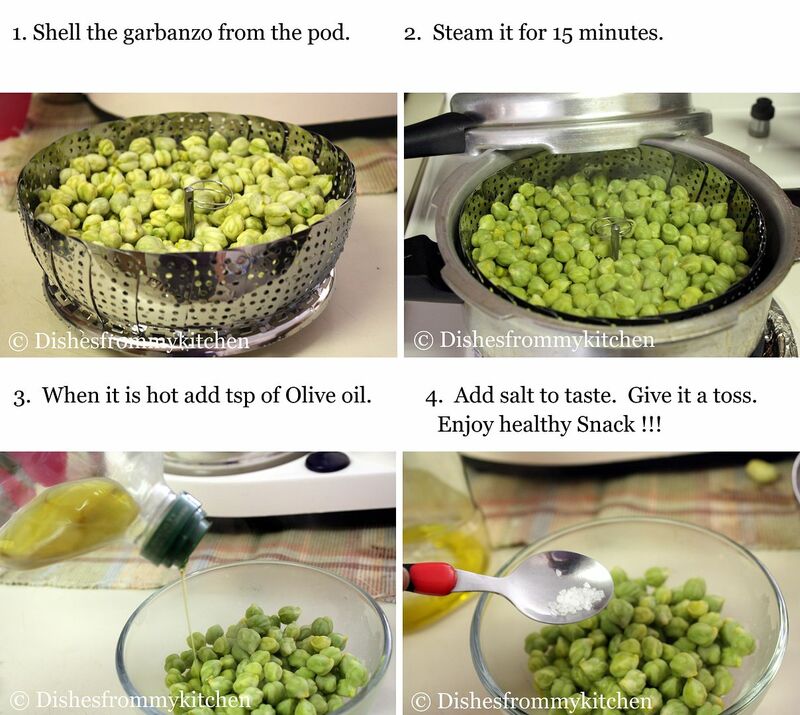 Keep this washed garbanzo in the strainer or in a bowl. 5. Close it with the lid and steam for 15 minutes in the medium flame. 6. Remove it and transfer to the bowl. 7. When it’s hot add Olive oil and Sea salt. 8. Give it a nice toss. 9. Enjoy warm and healthy snack !!! 1. 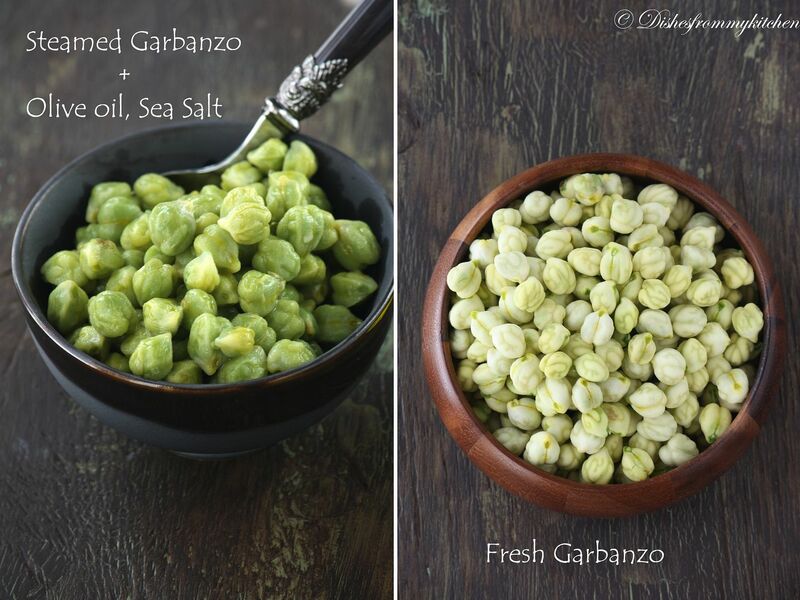 You can also microwave this fresh garbanzo(shelled) in the bowl by sprinkling little water and covering slightly with the lid (not fully). It just takes 3 to 4 minutes depending on the amount of bean you use. 2. You can also blanch them in the boiling salt water for few minutes, strain them and follow the same procedure from the point 7 to 10. 3. You can also char them in the broil mode in the oven for 5 minutes this gives nice and smoky flavor to the beans, then you can toss it with the olive oil and salt. 6. Remove it and transfer to a bowl. 7. Heat oil in the pan. Add the mustard seeds, when the crackling subsides. 8. Add the curry leaves, chilies followed by crushed garlic. 9. When it is slightly browned add the steamed garbanzo and salt. 10. Give it a nice toss. 11. Enjoy the hot and healthy snack !!! 1. If you don't have Mustard seeds, whole red chilli and curry leaves, just omit them and substitute with Cayenne pepper or black pepper powder along with crushed garlic and salt. 2. You can follow the same procedure with the coconut oil instead of any canola or vegetable oil too. This gives a nice flavor. Stay tuned for more recipes !!! Wow nice snack.Never bought this fresh beans.Will try this time. My friend serves them toasted and baked. It is awesome to have them over a pleasant conversation. Beautiful clicks. 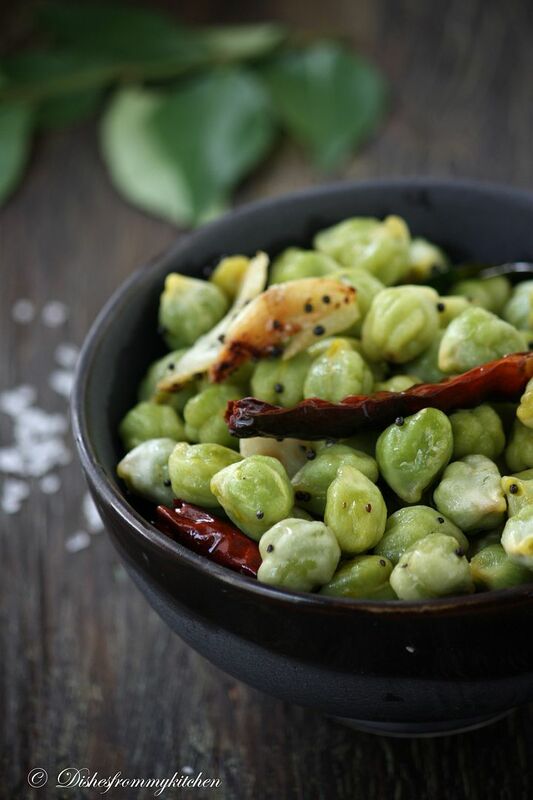 I love green channa. I used to snack on them so much in Hyderabad. We also used to make dal with the green leaves, it used to taste amazing! I have never seen them in stores here :( These look delicious! 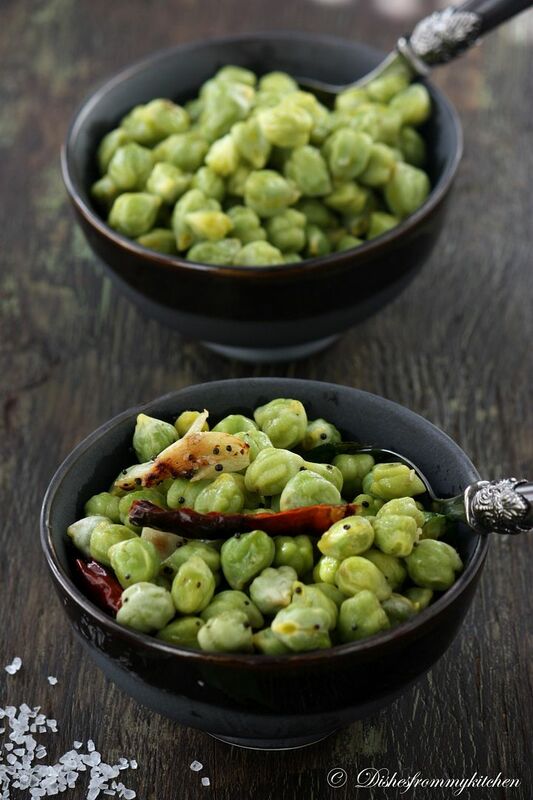 Haven't tried green garbanzo this fresh... good one..
what a great snack, lovely pictures!! What a pretty salad recipe! Great post. Simple and and fresh recipe !! Lovely clicks !! I used to love picking on the fresh cholia when in season.. just like tht. I fell in love with the pictures here.. great shots. Gorgeous clicks,the beans look delicious. Love all your clicks. Awesome. A delicious snack and beautiful photos..
looks delicious. Lovely photos. the only way we knew was to roast them. But this seems a better way to enjoy them. Great healthy snack! :) Looks so pretty, tempts me a lot to taste! Unfortunately we dont get this fresh beans here, yummy snacks..
Never had this, but your beautiful snaps make me try these soon. Just bought some fresh - thanks for tips, this was my first time to make fresh Garbanzo Beans! Skip the oil for it be healthy. LYCHEE SANDESH IN RABRI - PURELY DIVINE !!! SPROUTED MUNG BEAN SALAD !! !